PORTLAND, USA // John Hoke currently serves as Nike’s Chief Design Officer. In this role, he leads Nike’s global design team, responsible for envisioning the future of sport. Hoke directs an international creative community of over 1,000 designers charged with inspiring, innovating, and designing hundreds of apparel and footwear styles each year. For over 25 years, Hoke has been instrumental in leading Nike Design to be recognized as a powerful competitive business advantage, and a world class, in-house, creative studio. 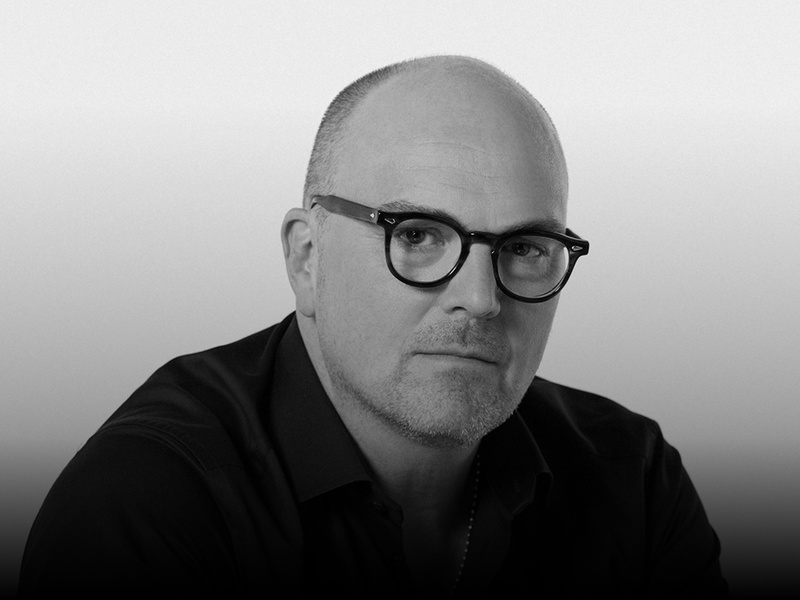 In addition to his duties as Creative Director for the brand, his notable projects include: design, inspiration and creative direction for NIKETOWN New York and London in the late 1990s along with the continued evolution of Nike’s retailing programs to this day; NIKE.com launch, 2000; NIKE ID, a customized shoe builder launch in the early 2000s; NIKE Goddess – a women’s concepts in the mid-2000s; NIKE PARK a series of revolutionary global marketing events; Nike trade shows; Nike’s Olympic creative direction/innovation strategies in 2008, 2012, 2016, and 2020; delivering Nike’s year long and seasonal creative strategies, prototypes, tools and palettes; Nike’s “Nature of Motion” Milan exhibit in 2016; Modern Sport Design, an annual Nike Design monograph series showcasing design process and product. Hoke also continues to author and vanguard the “NIKE Design Ethos,” a guiding creative philosophy and set of standards that capture, focus and teach the essence of great design at Nike. Hoke speaks, writes and promotes the power and possibility of design and creativity throughout the world. He is a permanent “Design Fellow” at The Pennsylvania State University, his alma mater; a member of Herman Miller, Inc.’s Board of Directors; an Advisor to P.F.F. - Piaggio, Fast Forward, and a Trustee at both the Oregon College of Art and Craft and Pacific Northwest College of Arts. Hoke also served as national Trustee of the Smithsonian, Cooper-Hewitt National Design Museum. In addition to board service, Hoke regularly engages in academic discourse - curriculum development and lecturing at Universities and schools of Design. This scope includes architectural, industrial, computational and graphic design history, theory and practice. Hoke holds degrees from The Pennsylvania State University, BARCH; University of Pennsylvania, MARCH; and Stanford University, MBA. Prior to Nike, Hoke was a designer at Michael Graves, Architect, in Princeton, NJ. His work included architectural, industrial and graphic design for a wide variety of international clientele. Mr. Graves served as a personal mentor until his death in 2015. Outside Nike, Hoke dabbles in his sketchbook and computer, snowboarding, mountain biking, running and enjoys time spent with his wife and three adult sons. He remains a fierce advocate for imaginative thinking and creative exploration to connect to, and inspire brilliant design.